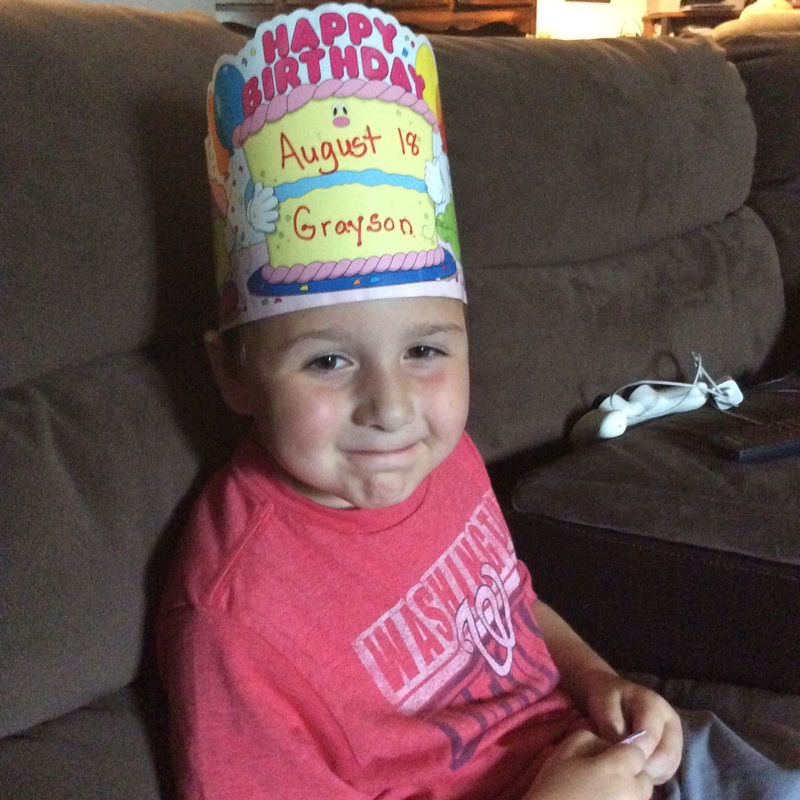 At the sons’ elementary school, they don’t do half birthdays, but they DO have one day a week before the end of the year where each kindergarten class celebrates all the guys and gals with summer birthdays. He was SO happy! He wore his crown all week long and tried to lord it over all. 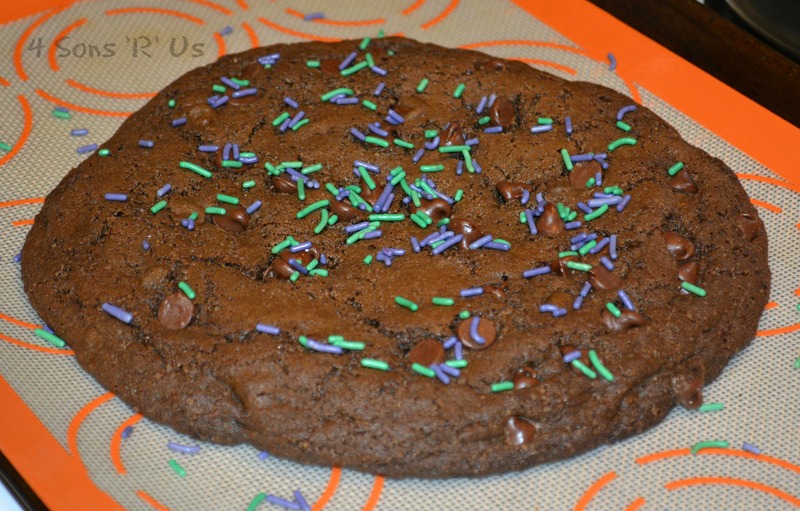 And we decided to make something yummy to celebrate, like our XXL Death By Chocolate cookies. And lo and behold, summer’s half over and the youngest son is still wearing his crown, and being his happy (albeit bossy little self) and since we’re less than a month away from his birthday I figured it was finally time to share our recipe with the people. 1. Line a cookie sheet silicone baking mat, parchment paper, or lightly spray with non-stick cooking oil. Set aside. 2. In the bowl of a stand mixer, beat the softened butter and sugars together until creamed. Mix in the egg and the vanilla. 3. In a separate small bowl, use a fork to stir together the flour, cocoa powder, baking soda, and salt. Pour the dry ingredients into the wet ingredients and mix to combine. Fold in about 1/4 cup chocolate chips. 4. Place the dough in the center of the baking sheet and mold into a tall-ish ball using a spoon. 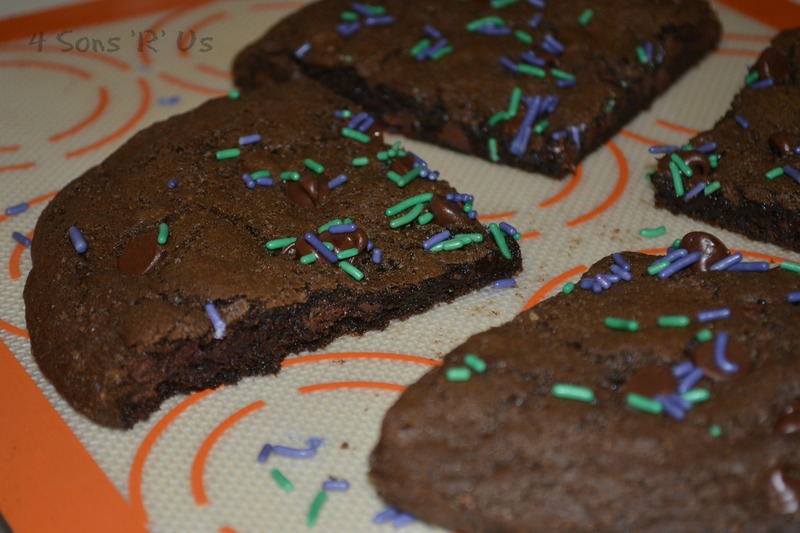 Dot the top of the cookie with 1 tablespoon of chocolate chips. Add sprinkles, if desired. Bake at 350 degrees for 14-15 minutes, or up to 16 minutes. The cookie will appear very soft, but will firm up as it cools. Allow to cool completely on baking sheet.